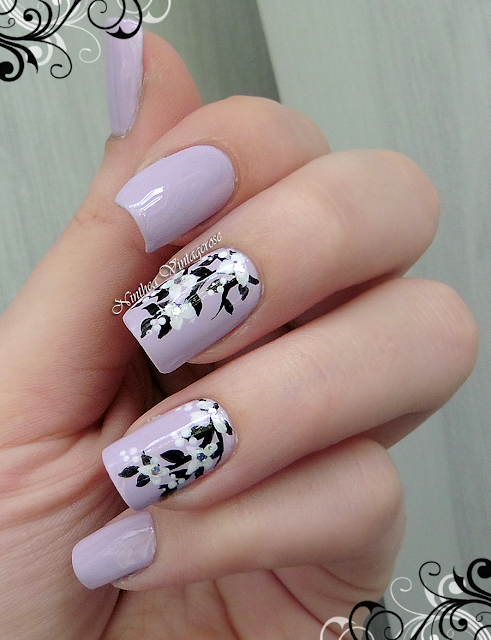 Secretly in love with nail polishes: Flowers!! I think that the main problem is the background color... It's too light so the flowers don't stand out. Next time it will be better I hope. I like it a lot, really! Preslatki su ti ovi cvetići. Veoma ženstveni. You're the master of flower designs. Love this one too! Am impressed! It's so clean and girly! Like it alot! Non capisco come tu possa definire questa nail art un fallimento, la trovo deliziosa invece!